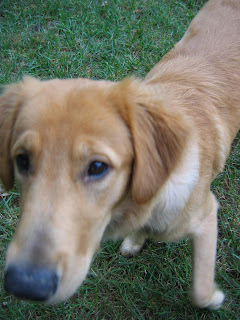 Introducing Rudy -- our foster golden retriever we've had for about a month now. We picked him up from Chicago and brought him back to Cinci to enjoy sticks in our backyard, fetching balls, and playing with other dogs in the neighborhood. He even has a dogster page! Plus, more photos of Rudy can be found on our Kodak gallery (View photos).